Until this month fossils never interested me. It’s probably the math. Hard to conceptualize the time frame of any era that ends in zoic, like mesozoic or cenozoic. Once the numbers go beyond a million, I’m done. But my husband and I kept our pledge to honor The National Parks Centennial. 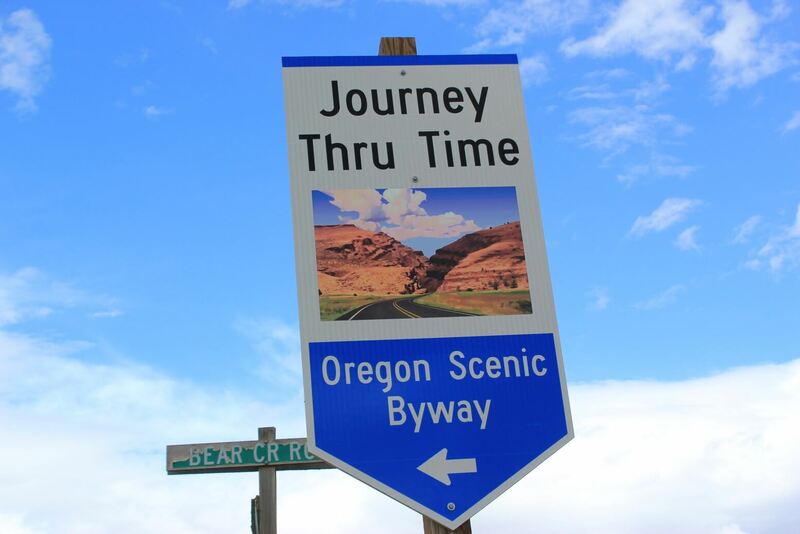 On this trip we did not bypass any National Park or Monument, even though our route landed us at three different fossil beds. Yet, I have to confess that my attitude changed. You don’t need math to be intrigued by the fact that zebra-like horses, camels, and llamas once roamed the forests of Idaho. You don’t need numbers to conceptualize the meaning of pre-ice age. And you don’t need complicated calculations to understand that global warming is indeed a trend, but this time it’s more concerning than in times past. 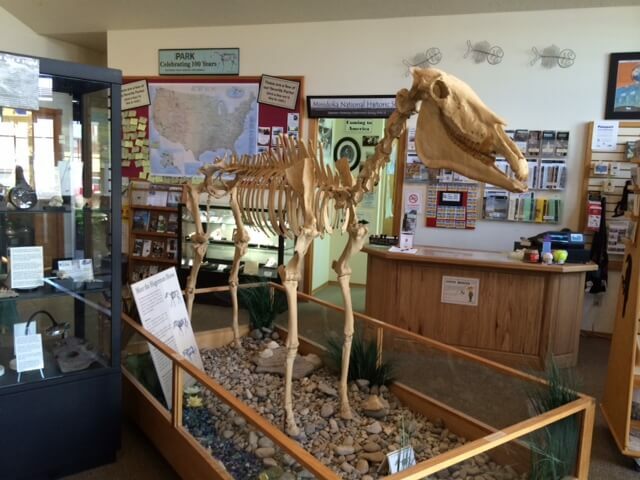 Hagerman Fossil Beds contained the largest concentration of fossilized horses. 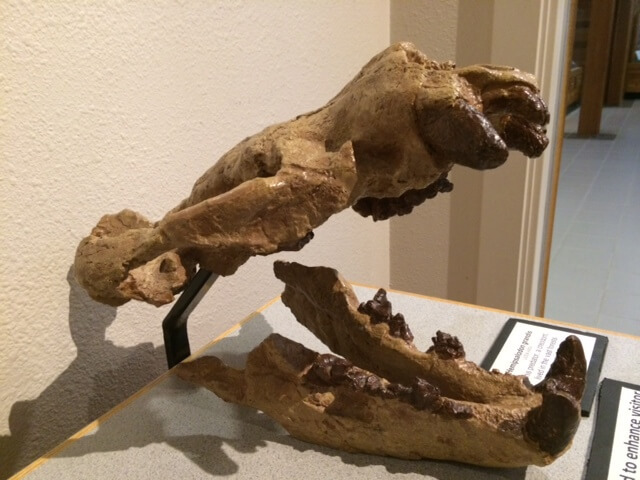 In 1929, Smithsonian ran the excavation of Hagerman, Idaho and unearthed 105 vertebrate species. The most important find was hundreds of individual Pliocene-Epoch horses at all different stages of life. These are the ancestors of America’s beloved modern horse. 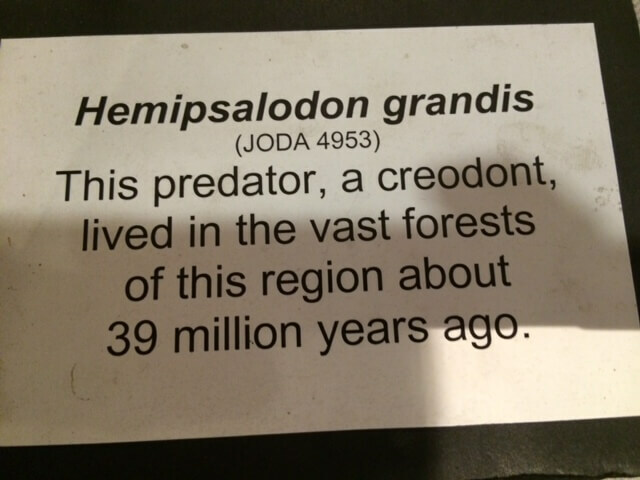 Tremendous floods had washed away full herds and left them buried in sediment and ash for millions of years. Excuse me if I don’t remember the exact date. While fossils of mammals explain their adaptations and evolution, fossils of birds show that they have remained pretty much the same. Easily-identified bird fossils render information about Idaho’s prehistoric climate and ecology. The presence of cormorants indicate that the region had open water, herons indicate wetlands, and birds of prey indicate trees. Fossils of ibis, which no longer inhabit Idaho, suggest a much warmer climate. 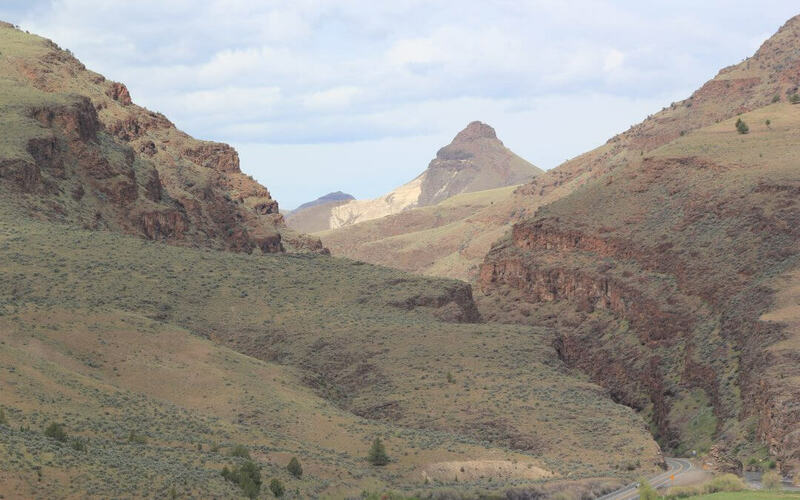 John Day Fossil Beds reveal the history of hundreds of plants and some mammals. 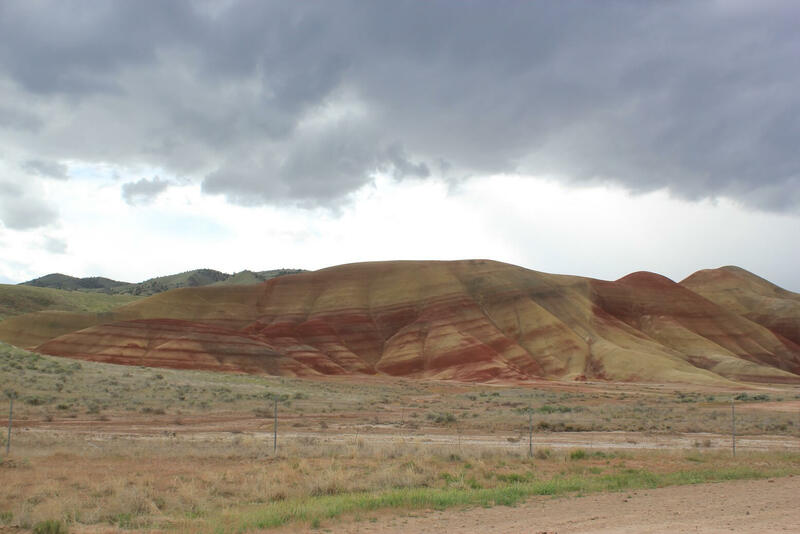 We started at the first of three John Day fossil sites, called Painted Hills, and enjoyed nature’s artistic touch. 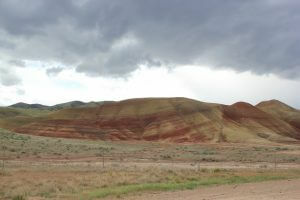 The red bands indicate soils deposited during wetter, warmer times. Blue-green, yellow, and tan bands represent cooler, drier times. Here, if you want, you can forget the numbers and just take in the beauty of the colorful patterns woven by history. 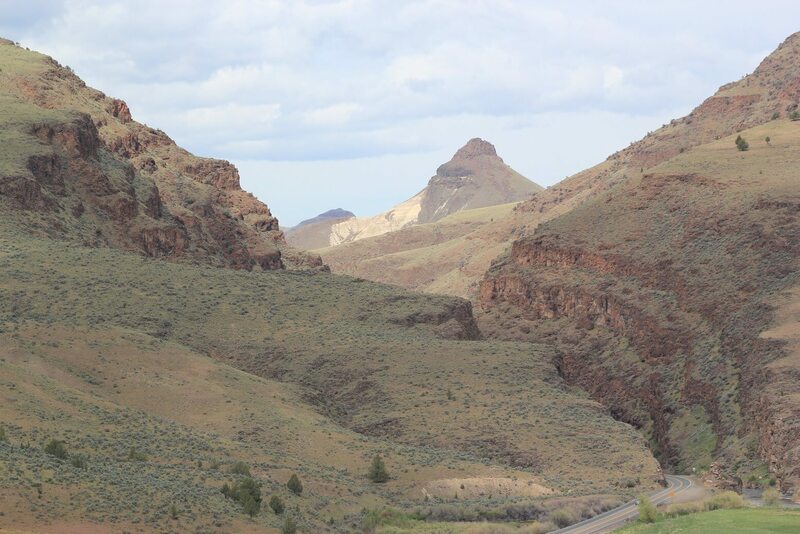 Surprisingly, the Clarno site, with fossils of over 200 plants, reveals that Oregon once had a sub-tropical forest. 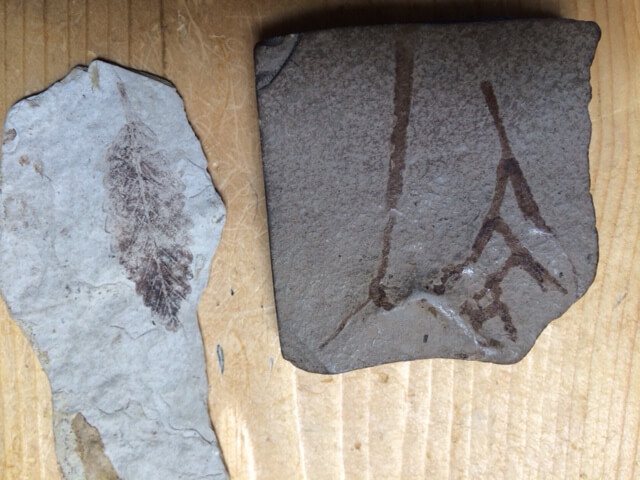 There are still so many fossils here, preserved in volcanic ash, that the public can visit a 33 million-year-old lake and collect their own leaf fossils. The Visitor Center, called the Thomas Condon Paleontology Center, at Sheep Rock, offers displays, a fascinating film, and a working archaeology lab, with real fossils. It is open to the public on Fridays. 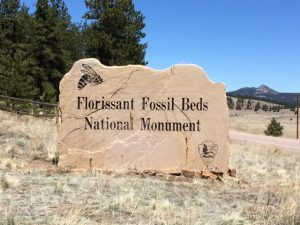 Florissant Fossil Beds in Colorado explain the problems of global warming. 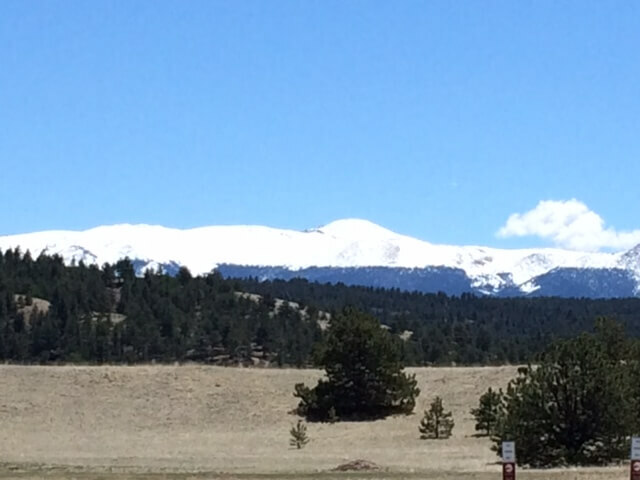 Here, below Pike’s Peak, volcanoes preserved many insects. Florissant has the most butterfly fossils in the world. What shocked me were the fossils of the tsetse fly. Today the dreaded tsetse is only common to tropical Africa, so you have to wonder how different central Colorado was 36 million years ago. Climatologists use these insect fossils to examine climate fluctuations, noting how gradual changes—over millions of years— allowed species to adapt. They also note that our current climate changes are accelerated, way more rapid than ever before, which begs some questions. How many infectious insect species will move north as our planet warms? How many of our species will be lost before they have time to adapt? 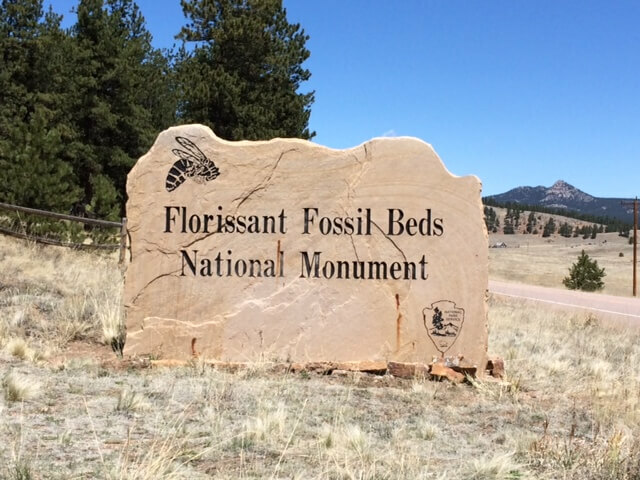 These three fossil beds have given me a new awareness of my country and my world, which, I hope, will make me a better steward of the environment. 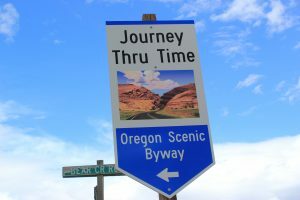 That’s why you slam on the brakes when you see any brown National Parks sign, trusting that the place wouldn’t be part of the NPS if it weren’t cool. Go to the Facebook link below to read more information and see more pictures. So interesting. My dad used to find Indian arrow heads in the yard and that spurred my interest. The biggest collection of dinosaur fossils are here in Bozeman at the Museum of the Rockies. Very cool. Did you see the dinosaur fossils in Moab? We went past a dinosaur place and thought it was a kids’ amusement, so we didn’t stop. Darn. But we still have one more fossil place to go.